Two of the launch commit criteria remain no-go this morning ahead of the 2:14 a.m. EDT launch opportunity. 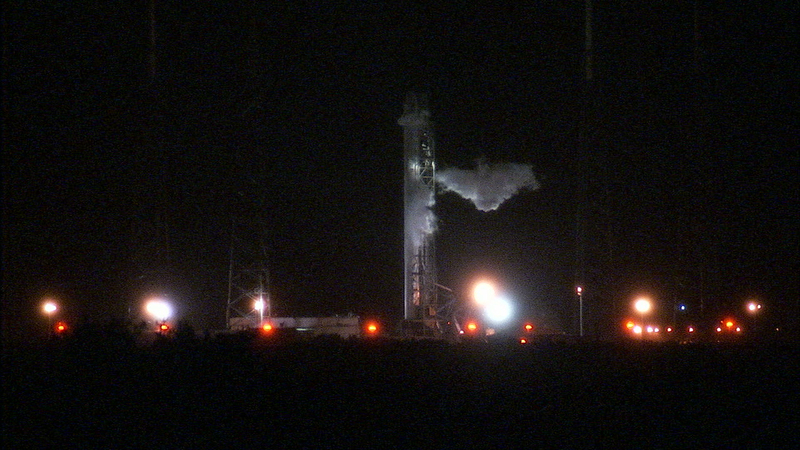 Current conditions violate rules on disturbed weather in the area and thick clouds over the launch site. Briefing the launch team moments ago, meteorologist Mike McAleenan put the chances of acceptable conditions at only 10 percent. “We’re not looking too good,” McAleenan said. The launch window is instantaneous, so the launch team doesn’t have any room to try to wait for clearing. If the launch cannot go tonight, there is another chance Sunday morning. The forecast for Sunday morning calls for a 60 percent chance of acceptable conditions. Previous Previous post: Good Morning from Florida!